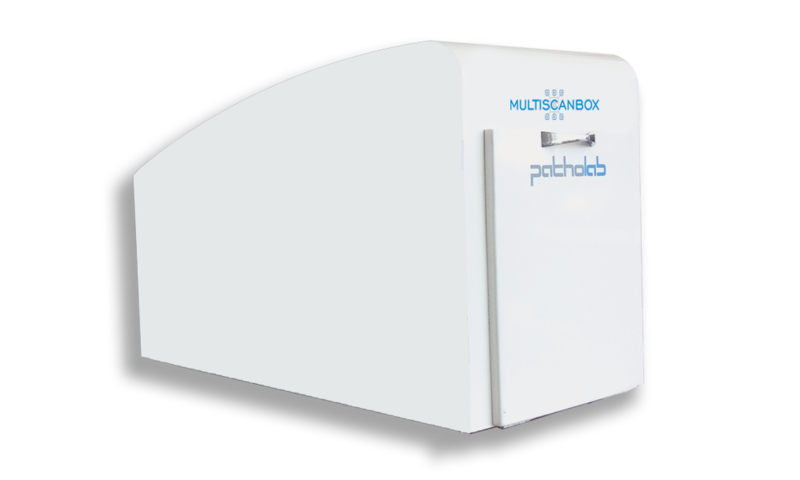 Multi Scan Box is a system for reading histology cassettes identification code, for tracking and storing paraffin-embedded tissue, with reader and fixed tray inside. The cassettes arranged inside the tray are read by a reader at the same time as the identification code of the tray enabling a unique association between cassettes and tray and guarantying a safe and immediate level of traceability. Reading speed of the tray containing 224 cassettes is 1 minute. Reading of cassettes is perfomed in a static way with help of fixed camera that captures an image of entire area, without sensor moving, preventing the occurrence of errors or failures caused by moving parts. The cassettes are arranged in the vertical tray, with the inclined face of the cassette in which the identification code is written upwards, so as to form a reading plane of the codes printed on the cassettes which is parallel to the base of the tray and on the perpedicular of the tray area reader. At the end of each scanning process all collected information is stored in a database. 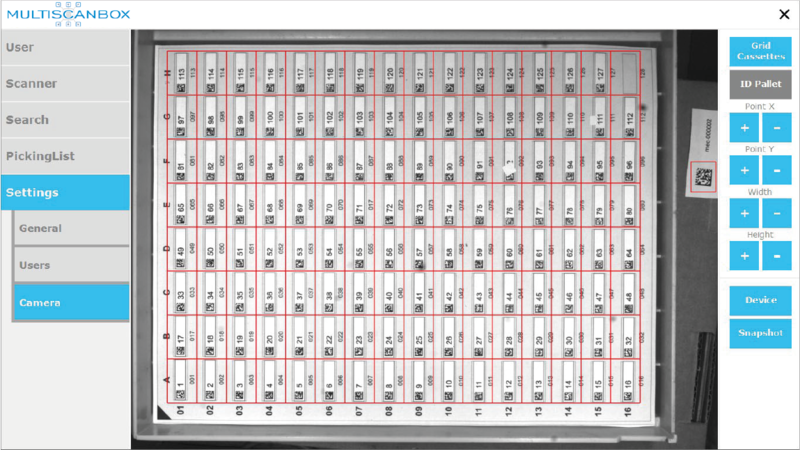 A screen allows you to view the position of each cassette inside the tray, highlighting the identification code in each box of the corresponding read cassette. If system does not detect the cassette in a determined position, it indicates a box with gray colour. 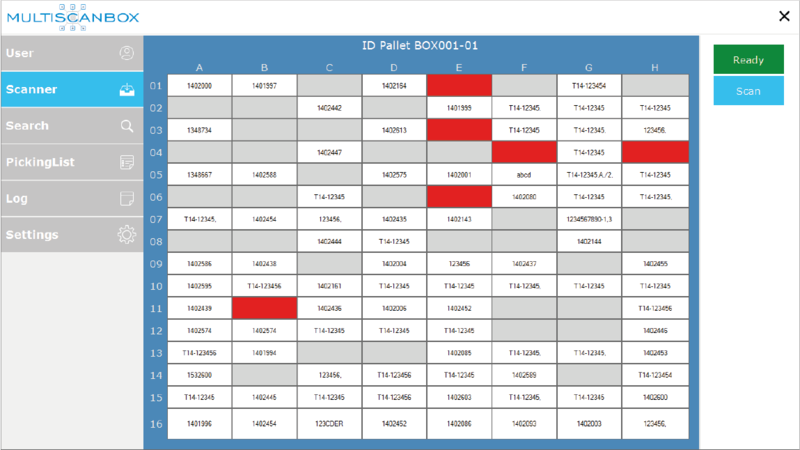 Any other reading anomalies are reported marking the box in red colour. 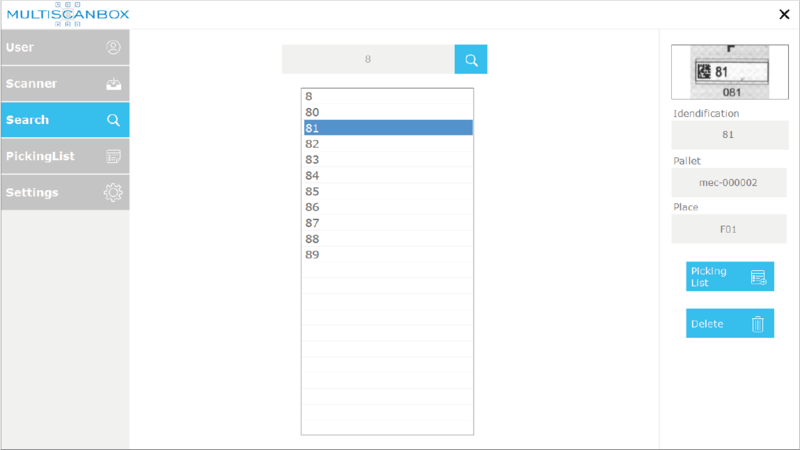 By entering identification code of a cassette in the Search window, you get the position and the number of the tray where the cassette is stored. Furthermore, the software always shows the saved image of the identification code as a feedback. For higher safety and traceability of the cassettes during handling, it is possible to use the Picking List window, which allows you to register in a list all operations of loading and unloading of the cassettes from the archive.